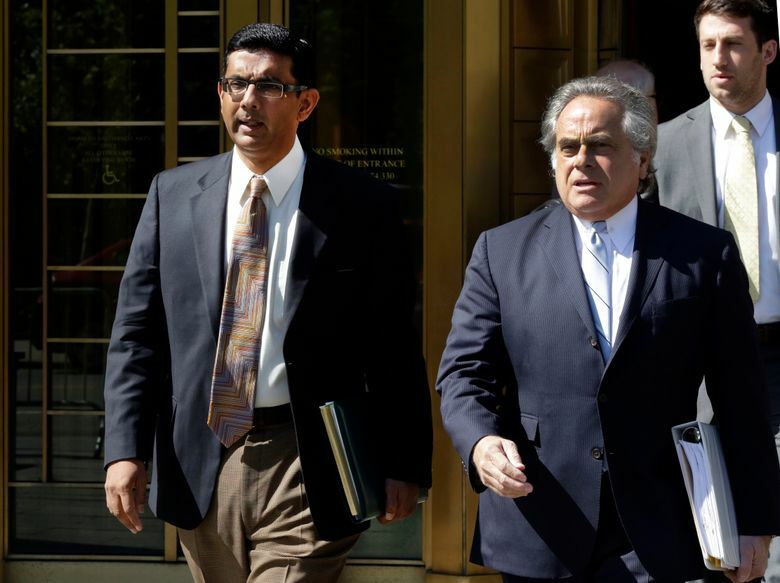 WASHINGTON – President Donald Trump granted a full pardon Thursday to conservative commentator Dinesh D’Souza and said he was strongly considering clemency for other celebrity felons, signaling his willingness to exercise his unilateral power to reward friends and allies while undercutting the work of his nemeses in law enforcement. Trump said he was weighing commuting the prison sentence of former Illinois governor Rod Blagojevich, D, as well as granting a pardon to Martha Stewart, the television personality and lifestyle mogul, arguing that they and D’Souza had been unfairly treated by the justice system. D’Souza, Blagojevich and Stewart had been convicted of such crimes as campaign-finance violations or lying to investigators – charges similar to those brought against Flynn, former Trump campaign manager Paul Manafort and other Trump associates indicted in special counsel Robert Mueller III’s Russia investigation. Cohen, meanwhile, is under investigation by federal prosecutors in New York for possible campaign-finance violations and other possible crimes. Another pattern in Trump’s granted or potential pardons is their connection to the president’s perceived enemies. Former FBI director James Comey, whom Trump fired last year, prosecuted Stewart in her insider-trading case, while Comey’s close friend, former U.S. attorney Patrick Fitzgerald, prosecuted Blagojevich. Former U.S. attorney Preet Bharara – who, like Comey, was fired by Trump and has since been an outspoken critic – prosecuted D’Souza. Prosecutors said D’Souza had other individuals donate money to Republican Wendy Long, a Republican who was challenging Sen. Kirsten Gillibrand, D-N.Y., in 2012, under the agreement that he would reimburse them for the donations. Earlier this spring, Sen. Ted Cruz, R-Texas, brought up D’Souza’s situation to Trump and personally lobbied him to consider a pardon, according to White House officials. The senator, who accompanied Trump to a political fundraiser Thursday in Houston, cheered the decision.